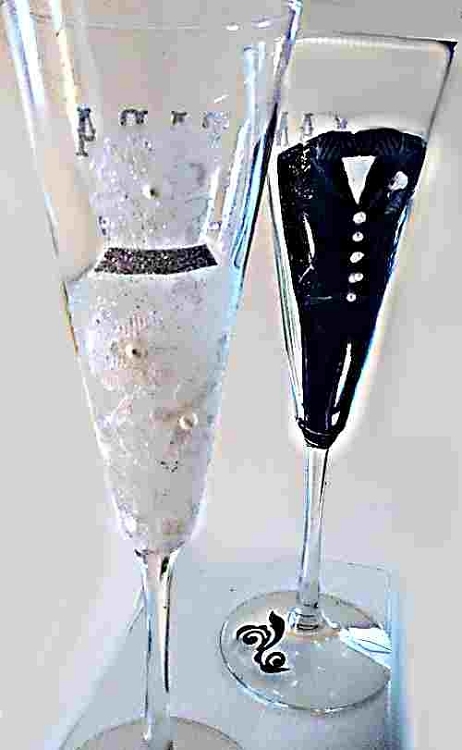 It's your wedding day and what a wonderful way to celebrate than with Clearly Susan's hand painted bride and groom champagne wedding glasses in a variety of styles to choose from. This hand painted bride's wedding glass has a design of lace with pearl and diamond like accents adorn the dress with a glittering sash. 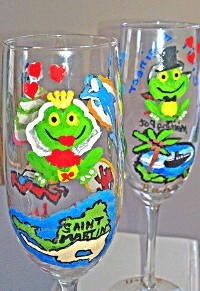 The hand painted groom wedding glasses have lace shirts with a real fabric bowtie. 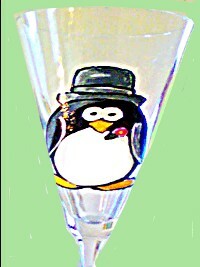 We can come up with any design that you like for your special day. If you see a design that you would like for us to replicate with our own special touch then email me and we would love to create something for you.